I’m so pleased to host on my blog the questions author Sarah Stonich has answered as part of The Next Big Thing. The Next Big Thing is a web series of author self-interviews on the subject of recent or forthcoming books. Sarah is my “sister” in publication. Her book, Vacationland, just came out from the University of Minnesota Press (which is also my publisher). 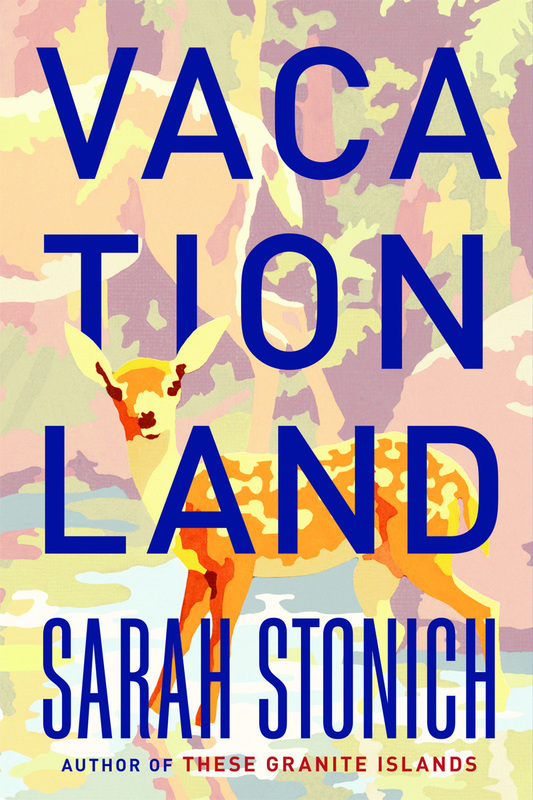 Vacationland has garnered fantastic critical reviews. Read more about Sarah here, and check out this lovely StarTribune profile. Sarah has “tagged” authors Matt Batt (author of the memoir Sugarhouse) and Amy Ferris (Marrying George Clooney and co-editor of Dancing at the Shame Prom). What’s the structure for the book? Interconnected stories that pivot on the same geographical point: a once-thriving fishing resort where multiple characters thread one chapter to another, and each to the main protagonist, Meg. Novel-in-stories though I don’t like categorizing fiction in this way. Originally, the publisher printed ‘novel’ on the cover, but I wanted readers to decide for themselves what it was, so it says nothing. Painter Meg returns to what’s left of the family resort, where visitors and their memories still crowd the place, recalling their various vacations and connections to those who’ve tended the resort since 1939. How will you help promote this title? Social media, pursuing library events and alternative venues beyond what my publicist can do (she has more books to promote than mine) Holding my north-woods-themed book launch in a bar was one – I gathered local writers who all helped by reading parts of the book. We had a polka duo, book-jacket beer coasters and a Bad Plaid fashion show. So fun. I can’t really bookend something as nebulous as a start-to-finish date, pun intended. Besides, since time isn’t an element of the creation of a story, it’s really hard to pin down. I’ve published books only to find I’m not completely finished. Vacationland has stories conceived of fifteen years ago. And right now I’m thinking about stories I might not finish for ten years. If pressed, I’d say collective time spent writing Vacationland all squashed together might add up to two or three years. The idea of a resort from varying perspectives of visitors, proprietors and locals seemed like a concept I felt worth weaving characters around. In Minnesota, a lot gets written about the wilderness experience, but less about resort life, and very little about the people and the communities that line the roads leading to such places – like the beer truck drivers and bait shop owners. I wanted to tell their stories. But I was also moved to challenge the tired Minnesota stereotype – not all the men in Vacationland are good looking and not all the children are above average – or white for that matter. The theme of vacation. Seems everybody has hard-wired memories of a resort; old cabin; a scout camp, or maybe had some fishing or canoe trip go right or wrong. Vacations can be awful or wonderful or even life-changing. For some, the two weeks in July might be just a yawn in time, a pause in life when there’s enough leisure to take a real look around, or even inward. How often do vacations turn out as planned, or ‘expected’? Few, I imagine.